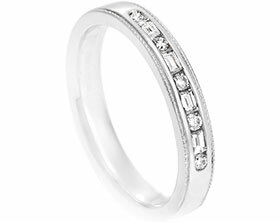 This platinum half eternity ring features seven 2mm brilliant cut G-H V1-2 diamonds, totalling 0.23 ct. Each stone has been individually channel set within a 3mm tapered band to create a modern feel. 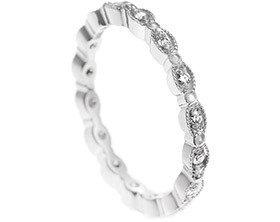 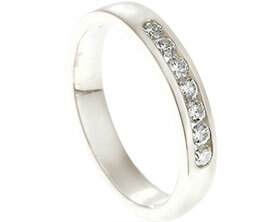 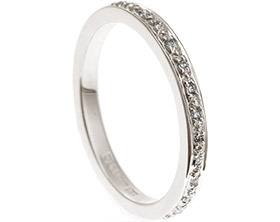 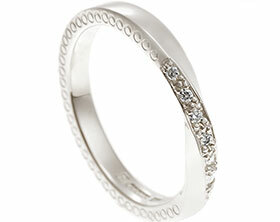 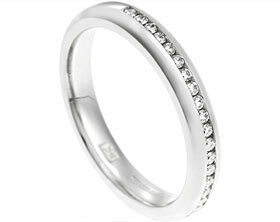 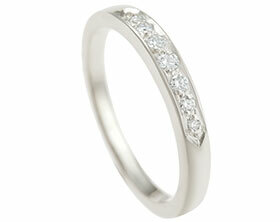 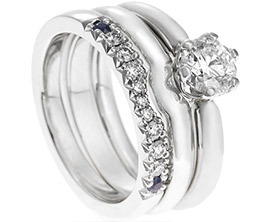 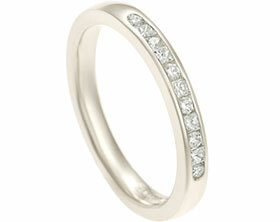 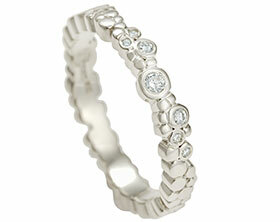 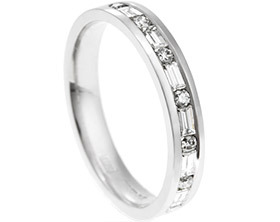 This hardwearing platinum eternity ring will sit beautifully alongside a classic engagement ring. 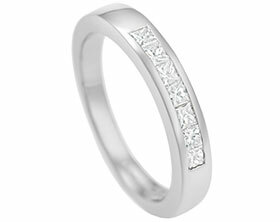 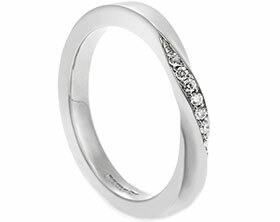 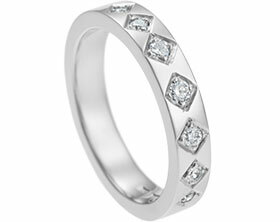 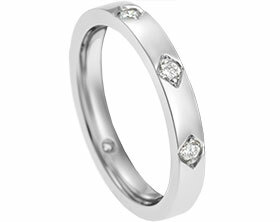 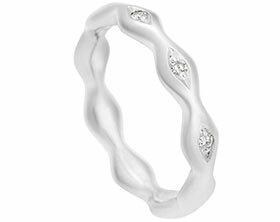 The edges of the band have been softened to give the ring a delicate appearance and a highly polished finish complements the sparkle of the brilliant cut diamonds. 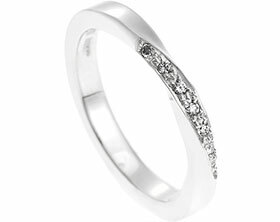 Size J 1/2 (approx US size 5 1/4). 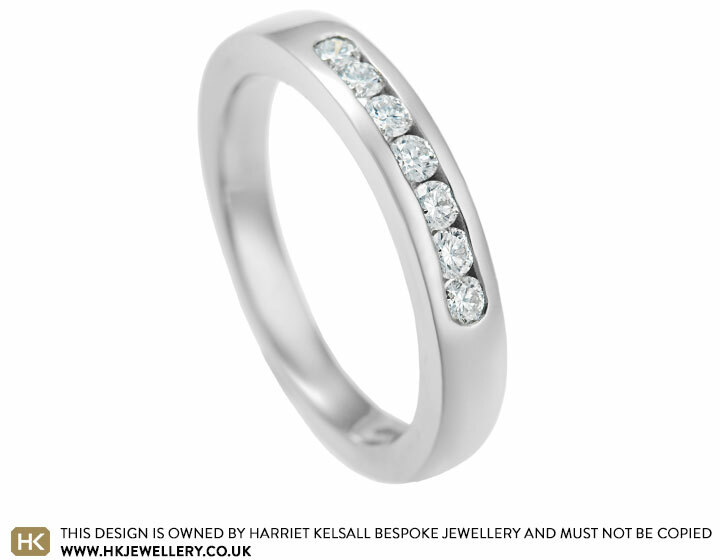 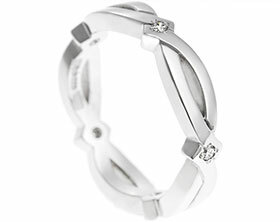 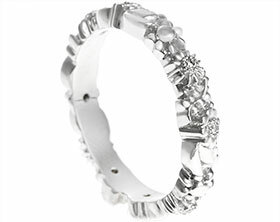 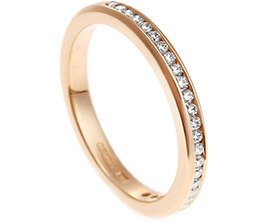 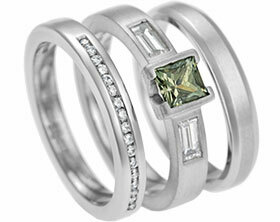 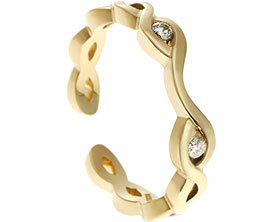 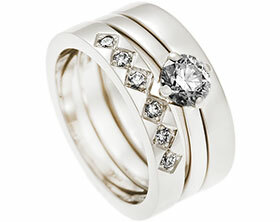 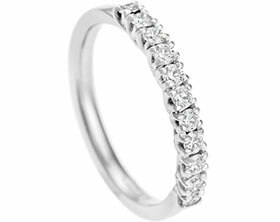 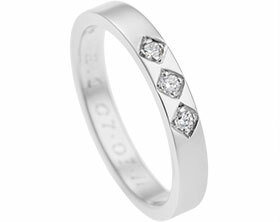 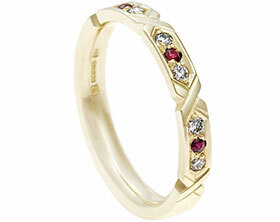 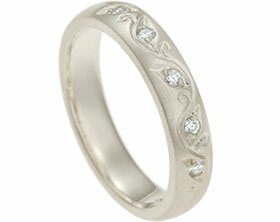 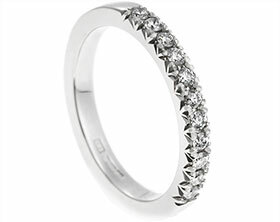 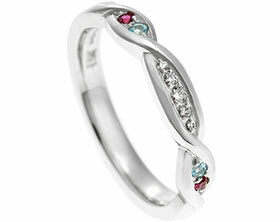 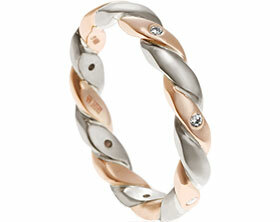 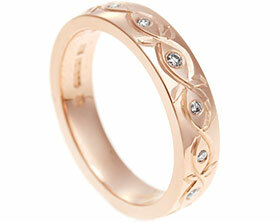 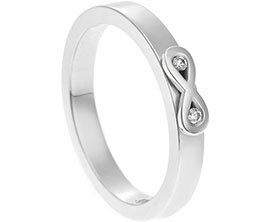 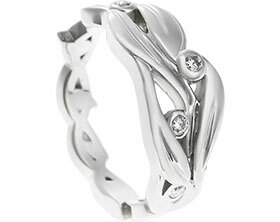 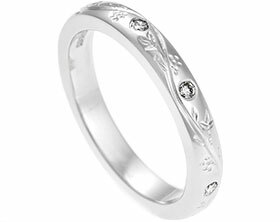 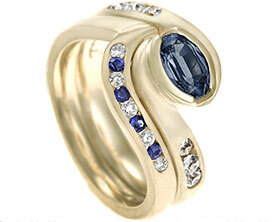 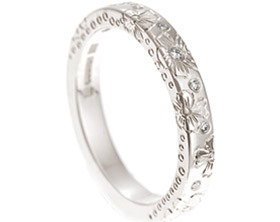 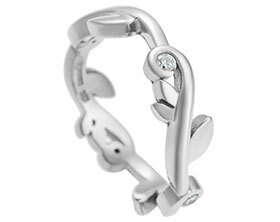 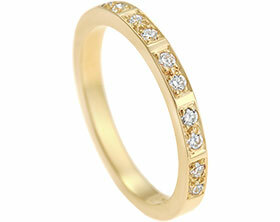 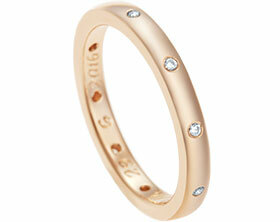 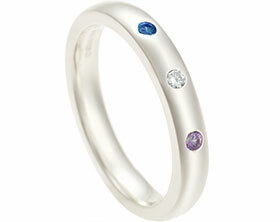 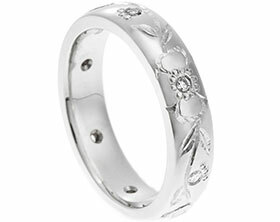 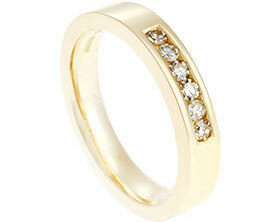 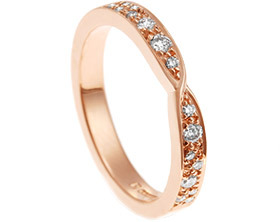 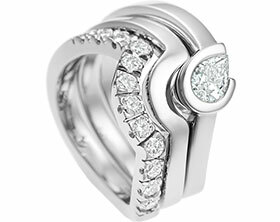 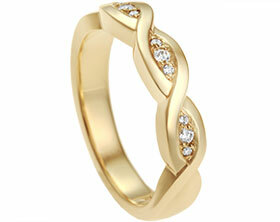 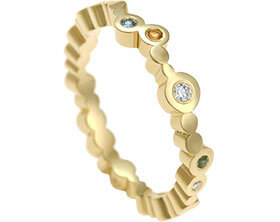 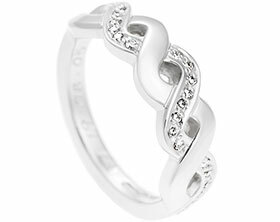 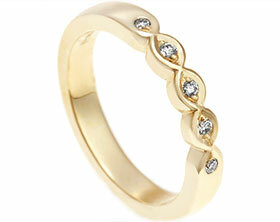 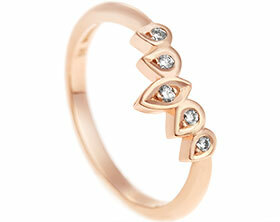 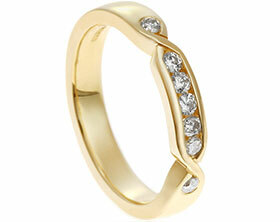 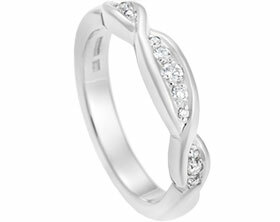 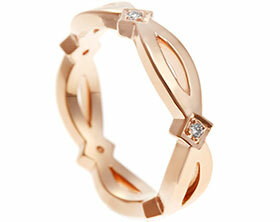 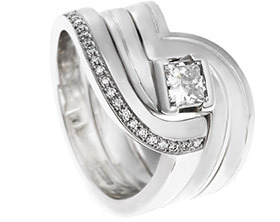 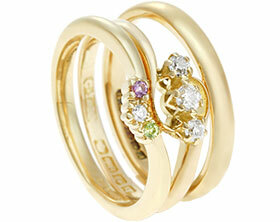 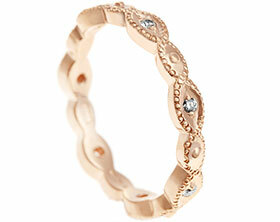 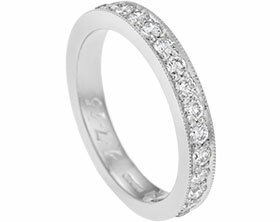 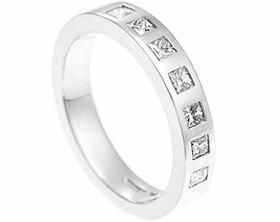 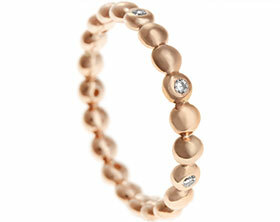 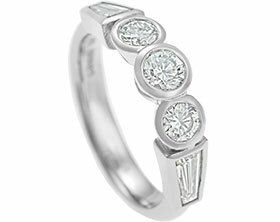 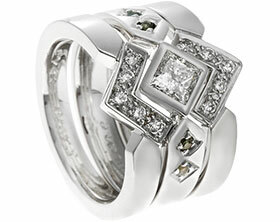 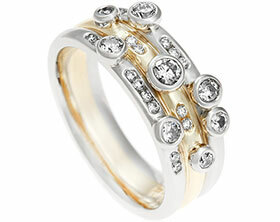 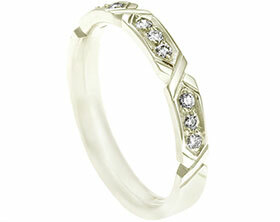 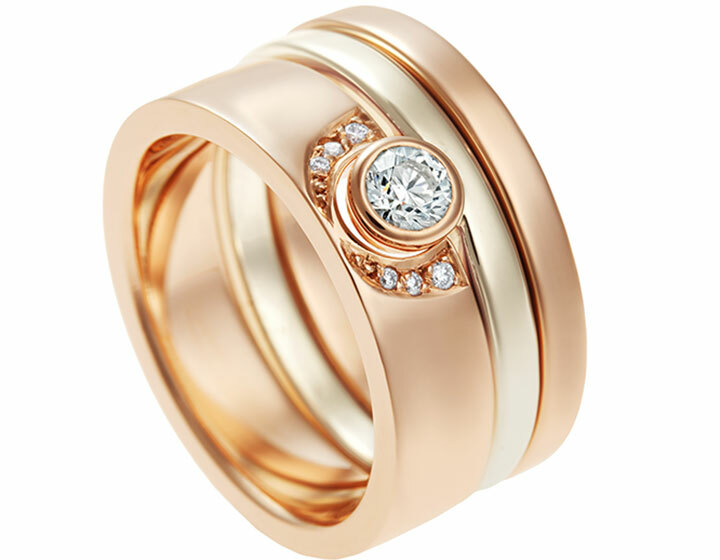 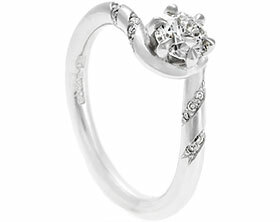 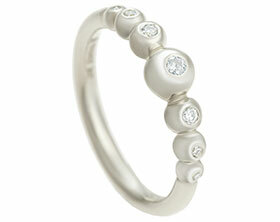 This ring can be resized within approx 2-3 sizes or please enquire if a further resize is required.